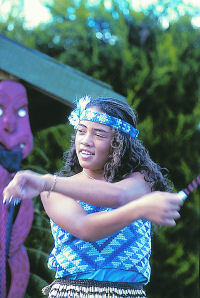 Maori occupied the Bay of Islands from as early as the 10th century. The first tribes stayed for only relatively short periods. Garden sites documented by archaeologists at Urimatao, on Moturua Island, are evidence of their occupation. The Te Awa people from Dargaville area followed these earlier transient settlers and they too stayed for only a short time before moving south. Their two known pa (fortified villages) at Rawhiti and Manawaora, are modeled exactly on their original Dargaville sites. The Ngare Raumati people arrived in the later 15th century from the Bay of Plenty and intermarried with other hapu (sub-tribes) in the area. They occupied the Bay of Islands for three hundred years. During the 17th century, the Nga Manu people and descendants of Waipihangarangi were given Kororareka Peninsula from Te Wahapu to Tapeka as utu (payment for the killing of one of their chiefs). 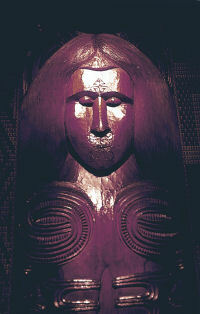 The chief at this time was Tupare, whose pa, Te Ke Emua, was on the hill behind the present-day landmark of Pompallier. He was forced to relinquish both his lands and his daughter following the killing of the Nga Manu chief, Waipahihi. Early in the 19th century, the Ngapuhi chiefs from the Kerikeri and Waimate areas defeated Ngare Raumati and when the Nga Manu (now known as the Ngati Manu) left and established themselves further inland. 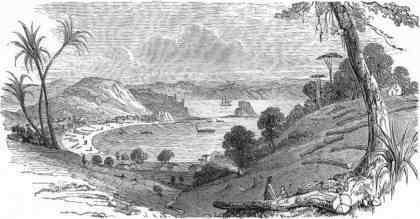 The Ngapuhi people remained and settled in the Kororareka area. Kororareka (Russell) was one of many small settlements in the Bay of Islands. It was to change and develop dramatically as a result of contact with European arrivals.